“If we’re making 78 cents on the dollar [compared to men] we’re always going to look like a ‘C’ candidate,” said Katie Donovan, founder of Equal Pay Negotiations. The woman said she was about to hang up after a telephone interview when she realized the hiring managers on the other end had forgotten to disconnect the call. So the woman, who asked not to be identified because it could hurt her employment prospects, kept listening — and what she heard shocked her. Her most recent salary was lower than the interviewers expected, which they assumed signaled a problem with her work. They didn’t offer her the job. A bill recently filed in the Massachusetts Legislature aims to address situations like this by prohibiting employers from seeking job candidates’ salary histories. The bill also would require companies to disclose an advertised position’s minimum pay and permit employees to discuss their salaries openly. These practices would help reduce the gender wage gap by addressing the problem at the beginning, before a single job candidate is interviewed, the bill’s sponsors say. Because women’s earnings are historically lower than men’s, revealing their salaries puts them at a disadvantage. It allows employers, when hiring, to offer lower salaries than they might otherwise or, as the example of the woman shows, draw unfair conclusions about women candidates. “If we’re making 78 cents on the dollar [compared to men] we’re always going to look like a ‘C’ candidate,” said Katie Donovan, founder of Equal Pay Negotiations, a Medford firm that teaches people, mainly women, how to get higher salaries. The figure cited by Donovan is the national average. In Massachusetts, women do slightly better: Their median earnings are about 80 percent of what men make, according to the American Association of University Women, a women’s education advocacy group. Differences in career choices and interruptions during child-rearing years account for about half of the gap, but the rest is widely attributed to gender bias. Women’s salary expectations are as much as 30 percent lower than men in the same job, according to “Women Don’t Ask: Negotiation and the Gender Divide,” coauthored by Linda Babcock, an economics professor at Carnegie Mellon University in Pittsburgh. In the tech industry, the average salary request from men is $124,000, while women ask for $114,000, according to Hired, an online marketplace for tech job seekers and employers. The bill is the latest attempt to narrow the wage gap in Massachusetts and across the country. In Boston, 60 companies have signed a compact rolled out in 2013 to put measures in place to equalize salaries, and submit salary data to monitor their progress. Women’s groups are continuing to push the Paycheck Fairness Act, which has been introduced in Congress several times, without success. The legislation aims to strengthen the 1963 Equal Pay Act, which prohibits gender-based wage discrimination, by increasing pay transparency, accountability for businesses to justify pay grade differences, and protections for employees who identify wage disparities. 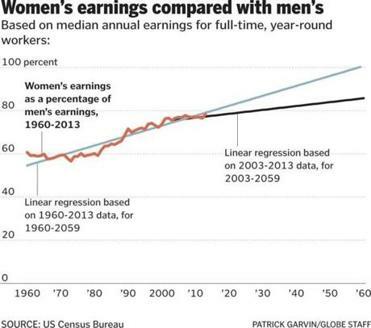 The difference between men and women’s pay has narrowed since the 1960s, but progress slowed in the last decade, according to the American Association of University Women. If the pay gap continues to close at the current rate, the group forecasts that women won’t achieve pay parity until 2139. Massachusetts law already requires employers to provide equal pay for comparable work, and bills have been filed in the past to define comparable work as jobs with the same levels of education, skill, and experience. This is the first that would require employers to revise hiring practices. Representative Jay Livingstone, a Boston Democrat sponsoring the bill, said the proposed measures would help businesses by preventing lawsuits over unfair wage practices. “This really is a chance to help close the wage gap, help people get paid what they deserve for the job they have, and help companies avoid litigation over salary disparities,” said Livingstone, a former employment lawyer. Associated Industries of Massachusetts, the state’s largest business group, has not taken a position on the bill, but stressed that companies know they have to pay men and women equitably. “AIM members understand that gender discrimination is already illegal, not to mention ill-advised for any company seeking to attract the best and brightest,” said spokesman Christopher Geehern. 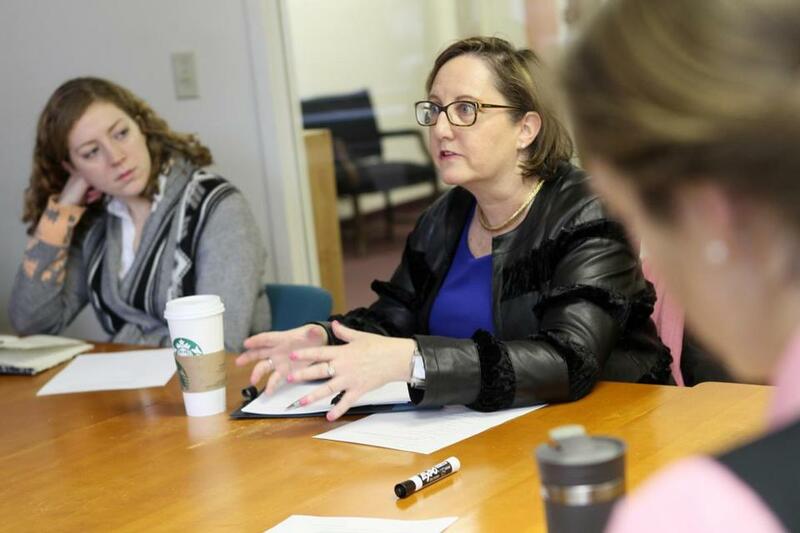 But some employers may not be aware of gender-based wage gaps at their companies, said Katie Hayden, policy and operations manager at the Massachusetts chapter of the National Organization for Women. 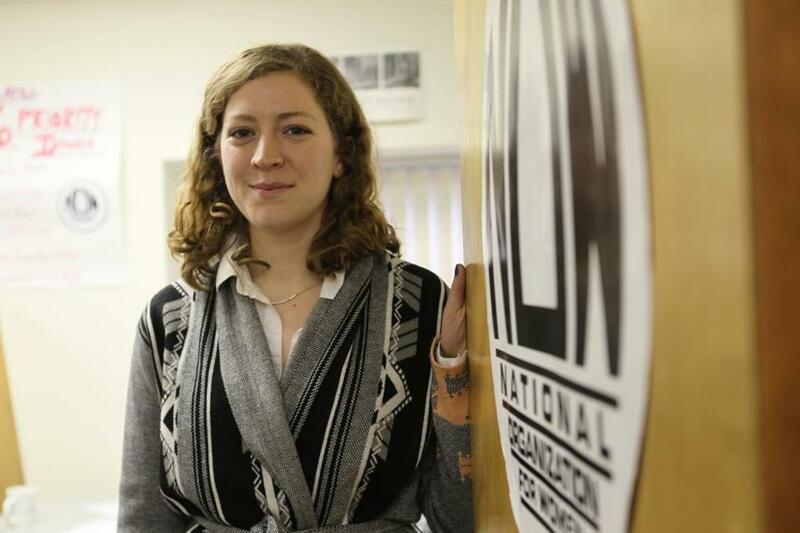 The bill’s proposed hiring practices would help them to close the divide, she said. Some employers may not be aware of gender-based wage gaps at their companies, said Katie Hayden, policy and operations manager at the Massachusetts chapter of the National Organization for Women.